The problem of origin of Balb/c 3T3 A31-1 derived cell lines. These cell lines have been proved to be derived from Swiss mouse cells, but not from the derivative of Balb/c 3T3 clone A31. Balb/3T3 A31-1-1 and A31-1-13 were reported to be isolated from Balb/3T3 clone A31 by Dr. Kakunaga at National Cancer Institute in 1980 (Science 209: 505-507, 1980). These cell lines were reported to be useful for the study of chemically induced transformation of cells, and were widely used in the world. These cell lines were deposited at JCRB Cell Bank from different deposition routes. For example, IFO50070 strain was the one that was directly deposited by Dr. Kakunaga. Thereafter, several laboratories developed genetically modified cell lines from Balb/c 3T3 A31-1-1. These are Bhas 42, 1-1ras1000, 1-1 src,  and were also deposited at JCRB Cell Bank. JCRB Cell Bank took place an analysis of mouse strain to check the origin of these cell lines. During this analysis, we found that  A31-1-1, A31-1-13 and all these derivatives are NOT derived from Balb/c mouse, but from Swiss mouse. Wheras, the parental cell line, Balb/c 3T3 clone  A31 was confirmed as Balb/c mouse origin. Dr. Kakunaga passed away in 1988, and unfortunately we can not trace the situation and cause of problem on this matter. However, it is suspected that the Balb/3T3 A31-1-1 and A31-1-13 subclones used in his laboratory was mistakenly establihed (cloned) from Swiss mouse-derived fibroblasts. 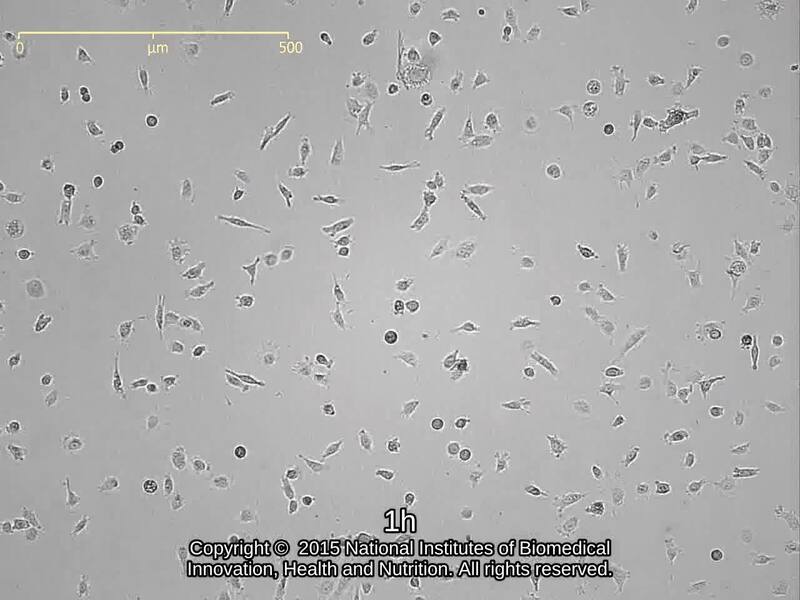 These cell lines have been historically used in worldwide, or have been described in test guidelines, and therefore the still valuable for research and testing. For this reason, JCRB does not exclude these cell lines from catalog and continues distribution of them. However, please keep in mind that these cell lines are not Balb/3T3 A31-derived cells. For example, If your research needs the characteristics of Balb/c 3T3 clone A31 (such as OECE test guideline "In vitro 3T3 NRU phototoxicity test"), please consider to use JCRB9005 BALB/3T3 clone A31. Wheras if you will use the cells established by Kakunaga for transformation studies, or if the name of cell lines are clearly described in the paper or test guidelines, these cell lines are still available for use regardless to the mouse strain problem. 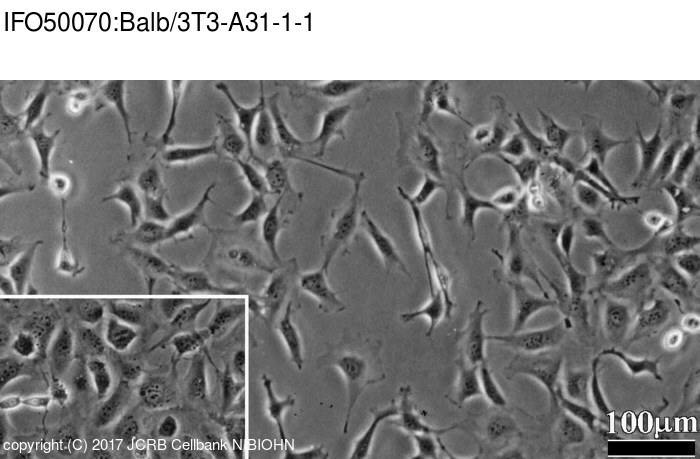 Origin of this cell line, Balb/c 3T3 A31-1, was found not to be derived from BALB 3T3 A31. fibroblast. This cell line exhibits contact inhibition. Kakunaga, T. & Crow, J. D.